Wall Street Options (WSO) is headquartered in NYC and was founded in 2001. 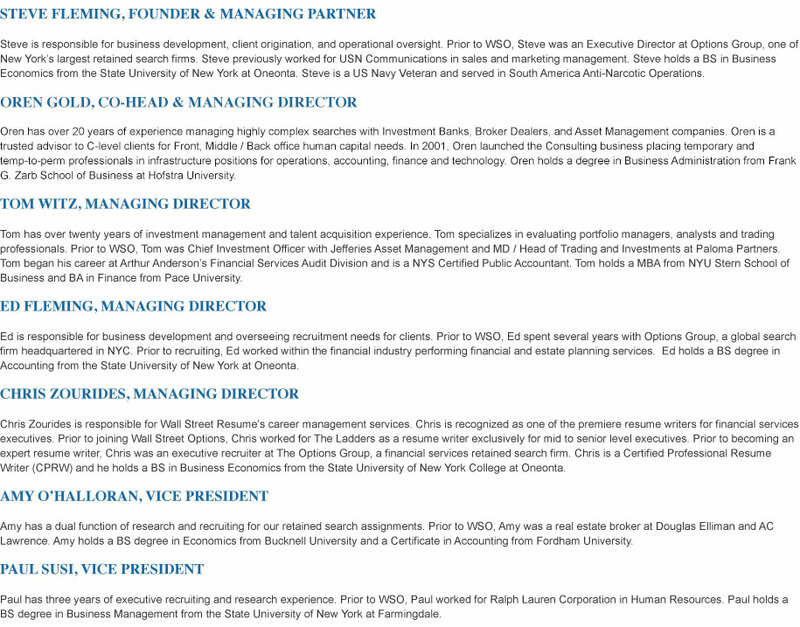 WSO provides human capital solutions exclusively for the financial services industry encompassing retained search, temporary consultants, niche job board & community, corporate outplacement and resume writing / career management services. Our clients are the leading financial institutions, growth companies and start-ups. Our goal is to provide hiring managers and human resources professionals with cost effective, high-touch recruiting and advanced technology to assist with hiring premiere professionals resulting in increased profitability and long term success. Copyright © 2019 Wall Street Options, LLC. All rights reserved.